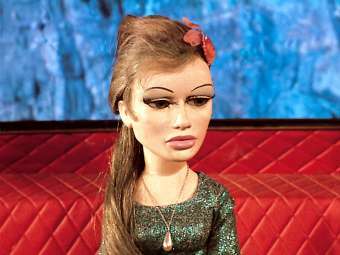 supermarionation | The Daily P.O.P. Get ready for action in Gerry Anderson’s Firestorm! The initial launch of the new Gerry Anderson project, Firestorm on the crowd-funding platform Kickstarter has already exceeded its minimum target of raising £49,000 in less than 96 hours and is now focusing on reaching its ‘stretch goal’ of £135,000 over the next 27 days left to make a 22 minute pilot episode. Fans of iconic Gerry Anderson shows like Space: 1999, Stingray, Captain Scarlet, UFO and Thunderbirds can now back the project to help fund the pilot episode in return for special limited edition rewards from props and collector edition DVDs, to set visits and film credits. Firestorm is a Gerry Anderson concept that was originally produced and released by a Japanese company as an anime series across Japan and South East Asia in 2003. This new version of the Gerry Anderson concept has been redeveloped from Gerry’s original synopsis and story outline documents. The funding already raised from the Kickstarter campaign now ensures that a mini pilot episode will be made with a new filming technique called ‘Ultramarionation’, the next stage in evolution from the famous ‘Supermarionation’ technique of Thunderbirds and Captain Scarlet, using a combination of puppetry, practical effects, physical props and sets, and model miniatures. The campaign has now exceeded the minimum of £49,000 to produce a 5-8 minute minisode introducing some of the characters and storyline elements of the series. The next ‘stretch goals’ will allow for further development of characters and storyline, introducing further scenes and explosions up to a 22 minute pilot episode if £135,000 is raised and a full 45 minute feature episode if £342,000 is raised. 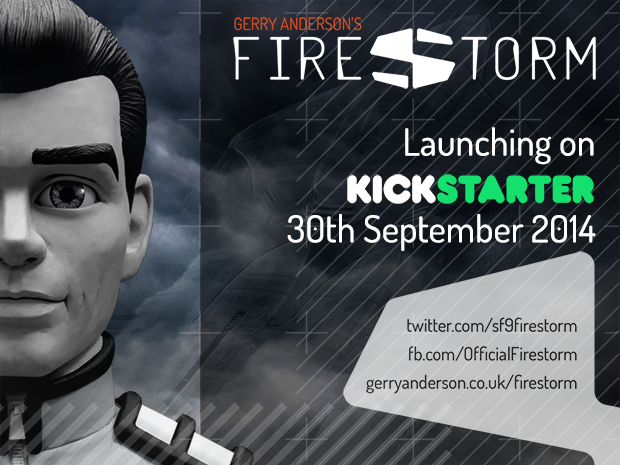 Coming soon: Gerry Anderson’s Firestorm! Fans of Gerry Anderson’s amazing Supermarionation programs have a good reason to be excited as an all new production is in the works. Using practical puppets and models (no CGi here), this will be a welcome addition to the Gerry Anderson legacy. So get ready for ULTRAMARIONATION! 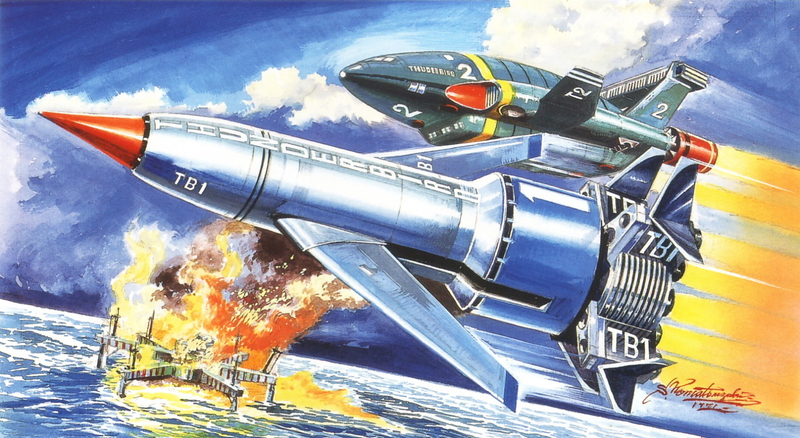 The series is based on the series originally developed by Gerry Anderson and his then business partner John Needham, before it was produced as an anime series in Japan in 2003. We’ve gone back to Gerry’s original notes, scripts, synopses etc. and redeveloped the show from those original Anderson elements. Bookmark this page for more info! 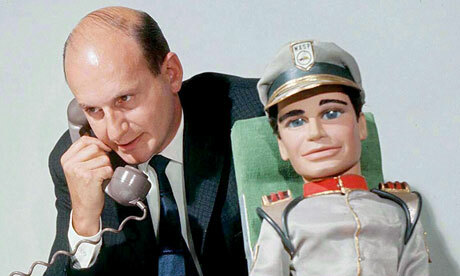 The sultan of the super-marionette, Gerry Anderson’s programs propelled children’s entertainment into un-thought of realms. From the fantastic details of machinery to the stupendous explosions, his projects were bog blockbuster films on a small scale. Thunderbirds, Captain Scarlet, Supercar, Stingray, Joe 90, the Secret Service and more were templates for the kind of entertainment that we find commonplace today on big budget action feature films. And it all started with a major disappointment… while Gerry Anderson was excited to develop new program he was devastated that he had to use puppets. The new documentary ‘Filmed in Supermarionation’ will utilize digitally remasters clips along with new interviews and behind the scenes footage unveiling the majesty of the world Gerry Anderson and his acclaimed crew of visionaries developed in a small studio. Released by Network, ‘Filmed in Supermarionation’ has a October 2014 street date. Weta Workshop have worked on everything from the upcoming Superman The Man of Steel to the Hobbit film, Rise of the Planet of the Apes, King Kong and the Lord of the Rings Trilogy to the Eighth Doctor’s steampunk-inspired sonic screwdriver. They will now be turning their talents to the beloved Gerry Anderson TV series Thunderbirds for a new generation. Weta Workshop plans to tackle another well-loved tale – re-inventing the Thunderbirds television series. One of the UK’s biggest production companies, ITV Studios, is pairing with Weta and New Zealand-based Pukeko Pictures to make Thunderbirds are Go!. The show is set to air in 2015, 50 years after the original series launched. The 26-part re-incarnation of Gerry and Sylvia Anderson’s iconic puppetry series featuring the Tracy family and Lady Penelope will use both CGI animation and live-action model sets, Weta Workshop announced. My 4 year-old son has become enamored with the Thunderbirds of late and the notion of a new revamped version of the series that still pays homage to Anderson’s program makes me very happy. It reminds me of my years as a Doctor Who fan which few people even knew about let alone liked only to see it become the most popular TV series of its kind. Crap… hopefully things’ll work out better for Thunderbirds. 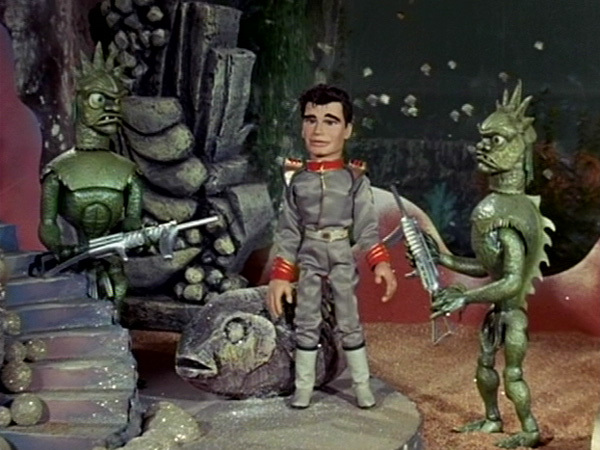 For many of my generation (and older), Gerry Anderson’s Supermarionation programs are a touchstone for their youth. Remembered for his Thunderbirds, Stingray and the like, Gerry Anderson is an outstanding filmmaker who used the most amazing techniques to produce children’s programs that made an explosive impact on the viewing public and even hold up today. Of course I am also a big fan of his live action series UFO and Space: 1999 where Anderson proved that he could take the same level of professionalism to the small screen with liver actors. Gerry Anderson will always be an ambassador to my childhood and one who I will never forget. Raise a glass for the master, chaps. Gerry Anderson, best known as the creator of Thunderbirds, has died at the age of 83. The film and television producer, whose credits also included the puppet shows Captain Scarlet and Joe 90 had suffered for several years with mixed dementia and died in his sleep, his son announced on Wednesday. He requested that any fans wishing to make donations in honour of his father should contribute to the Alzheimer’s Society. Gerald Alexander Anderson – famous for the use of “Supermarionation”, or the use of modified puppets – was born in 1929 in Hampstead, north London, and began his career as a film trainee at the Ministry of Information before starting work at Gainsborough Pictures. He later set up AP Films with some friends. With commissions thin on the ground Anderson and his team were eager to produce their first puppet show The Adventures Of Twizzle. Others including Torchy The Battery Boy, and Supercar followed. Success continued with Fireball XL5 and Stingray. But it was Thunderbirds, filmed on the Slough Trading Estate in Berkshire and first broadcast in 1965 that made his name. 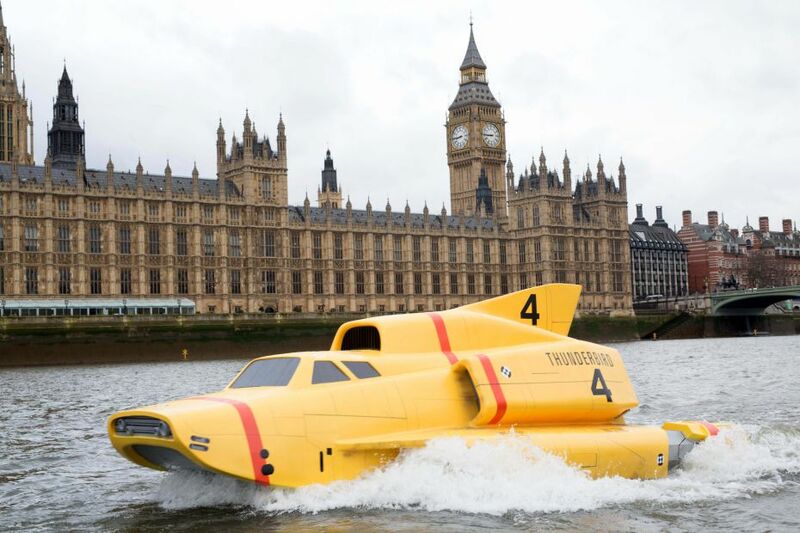 With the catchphrase “Thunderbirds are go!”, the programme revolved around International Rescue, a secret emergency service run by the Tracy family aided by London agent Lady Penelope and her butler, Parker. 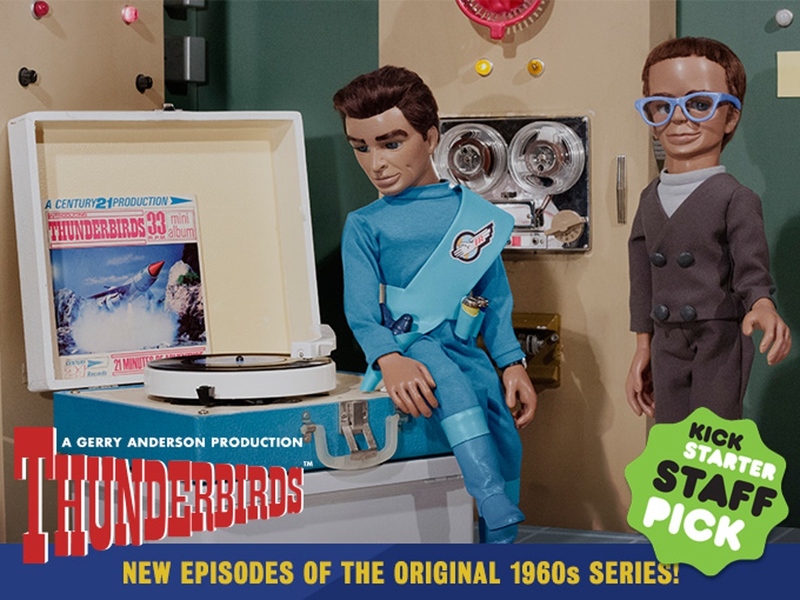 In 1966, Thunderbirds was made into a major feature film for United Artists, Thunderbirds Are Go, which was followed by a sequel, Thunderbird 6. Anderson moved towards live action productions in the 1970s, producing Space: 1999. In the 1980s, a burst of nostalgia for his Supermarionation series led to the commission of new productions, including a remake of Captain Scarlet. New Captain Scarlet, a CGI-animated reimagining of the 1967 series, premiered on ITV in the UK in 2005. He also worked as a consultant on a Hollywood remake of his 1969 series UFO, directed by Matthew Gratzner. Anderson was a one-of-a kind film and television producer, who had far-reaching influence, according to his fan club dedication. “Anderson’s unique style of filmmaking influenced the imaginations and careers of countless creatives that succeeded him, and his productions continue to be shown around the world to new generations of fans,” it read. The producer was diagnosed with mixed dementia two years ago and his condition had deteriorated over the past six months and he had moved into a care home in October. He also worked as an ambassador for The Alzheimer’s Society, to raise awareness and money for the treatment of the disease. Gerry Anderson leaves three children from former marriages, Joy, Linda and Gerry Junior, his son Jamie and widow Mary. There is a great site Just Giving that has set up a special page where fans of Gerry Anderson can make donations in his honor. Following the success of the science fiction adventure series Fireball XL5, Gerry and Sylvia Anderson’s next production was an undersea epic with hints of what was to come. In the near future the world is policed by orld Aquanaut Security Patrol (WASP), a high-tech operation that guards the undersea world from aggressors. The pride of the organization is a sophisticated ultra-modern sub called Stingray. When the crew of the super submarine encounters an undersea race of aquaphibians bent on the destruction of the human race, a prolonged war ensues. In the realm of Supermarionation, Stingray is an odd one, somewhere between Fireball XL5 and Thunderbirds with its combination of high adventure and action mixed with the backdrop of an organization not unlike International Rescue. The puppets are a bit more detailed than what was on hand for Fireball XL5, and it’s in color as well, the first regular color series of its kind in the U.K. It’s also the first of the Supermarionation programs to really impress viewers with explosions and other special effects that would become a hallmark of such series, thanks to future James Bond effects man Derek Meddings. The cast (I get a kick out of the way the puppets are introduced by their character names as if they were real people rather than the voice actor) consists of the square-jawed Troy Tempest and his co-pilot ‘Phones.’ The crusty Commander Sam Shore is in charge of the operation including his daughter Atlanta who of course longs to be held in Troy’s arms (but who wouldn’t? Just look at him). When a mute aquaphibian named Marina renounces her people and joins their ranks, an awkward love triangle is formed. The plots of these programs are surprisingly mature, including the love triangle previously mentioned, yet it is also wistfully juvenile and fun. The villains are constantly coming up with new plots to destroy the people of Marineville and get Marina back, but it’s all just so very silly. One sequence showing the elaborate surveillance systems of aquaphibians goes on for ages and is basically just a phone call to see what’s going on. The attention to detail and ingenuity in set and prop design is maddening. It’s basically a Bond film done in miniature. Click on the image for more astounding Gerry Anderson cutaways! A stepping stone toward Thunderbirds, Stingray is often overlooked in the annals of Supermarionation programs, but it is well worth a visit. A roaring success, Stingray also spawned a couple of audio adventures and original novels. Much like Fireball XL5, it expanded into a weekly comic strip in Countdown that established its own mythology. A mad mix of Voyage to the Bottom of the Sea and Thunderbirds, Stingray is one of the good ones. 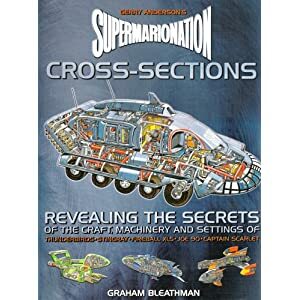 The last of the super marionation productions is actually only marginally associated with Gerry Anderson. In my previous ‘puppet puppet puppet’ articles I noted that Anderson was a frustrated director for whom the industry had yet to catch up with. Anderson’s previous productions of Supercar, Stingray, Fireball XL-5, Thunderbirds, and Captain Scarlet were all intended as proof on concept that he had a knack for action/adventure films that would have the Bond films shaking in their martini glasses. Unfortunately, it only got him a long line of puppet programs. By the time Secret Service came ’round, Anderson had moved on to live action with UFO, leaving the bulk of the work to David Lane and Reg Hill. Many scuttle this series as a failure which I feel is unfair. It lacks the action of Captain Scarlet and the magnificent array of machinery of Thunderbirds, but Secret Service was its own creature and in the end that’s fine. The Secret Service follows the adventures of a somewhat unassuming priest Father Unwin who is secretly an agent of a division of the British Secret Service called BISHOP. His servant and caretaker of the grounds Matthew is not only faking a country accent but also his assistant in his missions. 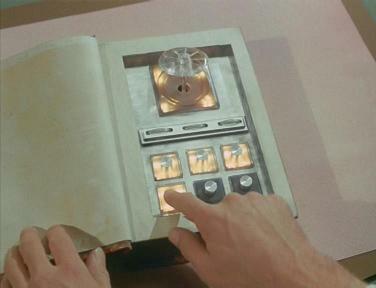 Through the use of as device called a minimizer (hidden in a Bible), Matthew is shrunken to the size of a marionette, hidden into a briefcase and set on the scene of the action. 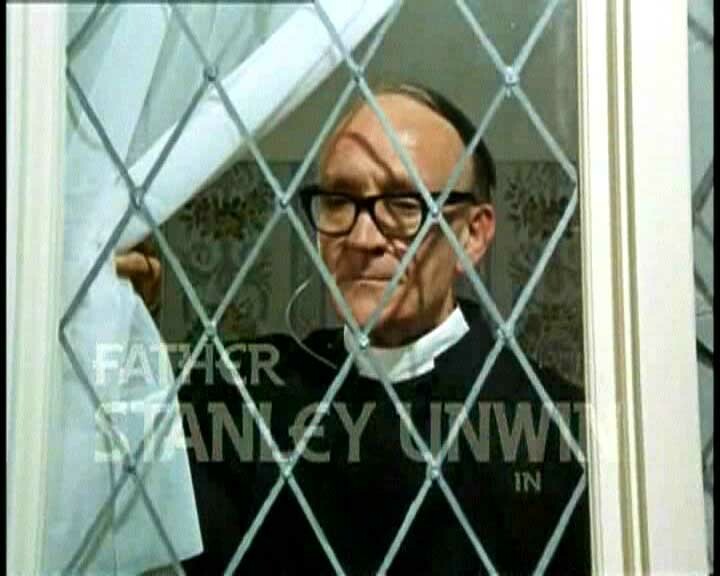 The part of Father Unwin was played by comedian Stanley Unwin whose skill was in speaking a mixed-up form of speech he called ‘unwinese’ and by a marionette based on him. Therefore some scenes featured Unwin filmed on location and then a similar scene of a marionette version of Unwin shrinking a marionette of Matthew into an even smaller size. Try figuring that out and you’ll see that it demands each set be built three times meticulously to scale. The production quality appears lesser than in programs such as Captain Scarlet simply because it all looked sop plausible and real, which is a testament to its success. Aside from being primarily based on a secret agent masquerading as a member of the clergy who communicated with BISHOP through the use of an ear piece leading his maid to think that he was either delusional or devoted to his faith, the program was very comedic. Father Unwin invariably found himself in as tight spot through which he would use his nonsense-speak to confuse anyone he would meet. 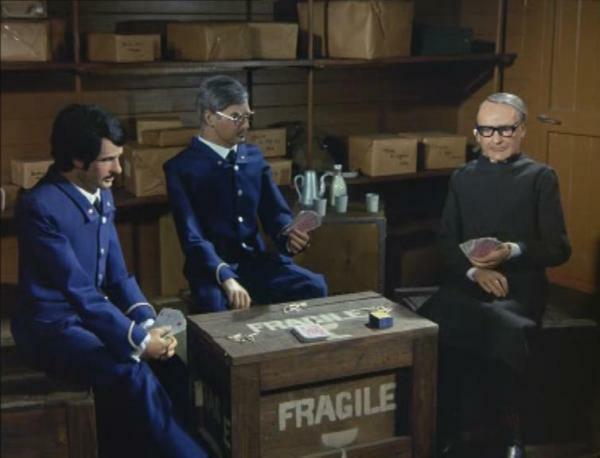 It was the inclusion of Steve Unwin’s unique parlance that struck a cord with the distributors and that sunk Secret Service, making it the final supermarionation production. The dramatic writing of Secret Service is definitely in the same league of previous programs. While not as dashing and exciting as Captain Scarlet, it does have a certain unique charm and while Unwin’s weird language was well-known at the time, it is an extreme oddity today, making The Secret Service a must watch for that reason alone! The soft jazz opening credits are also totally bizarre. The plots are interesting with my favorite being a fever dream that the Father has after doing too much work on his vintage car in the hot sun. Unwin has a vivid vision that his car (which he named Gabriel) is capable of any number of feats that would make Chitty Chitty Bang Bang blush. It’s a very fun story. A lost gem that even amongst fans of the supermarionation genre often gets overlooked, I do recommend at least a cursory glance over the Secret Service.